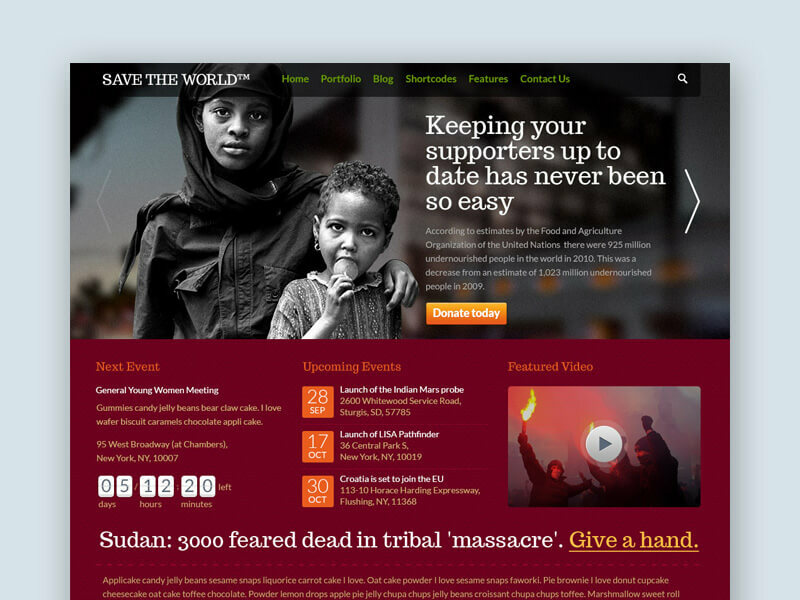 SaveTheWorld is an excellent template for Charity, Non-Profit Organizations and Movements. It was created as a universal website template for people who need an easy and modern tool to create their own websites according to the latest trends. This item includes both PSD & HTML files. If you need a WordPress theme you can download it for free.